All patients were stabilised and transported by various ambulance services to hospital for further treatment. Eleven people have been injured in a collision between a car and mini-bus taxi in Krugersdorp, paramedics said on Tuesday. Netcare 911 said that on Monday at 4.30pm, paramedics responded to reports of the accident on Paardekraal Drive in Chancliff AH. 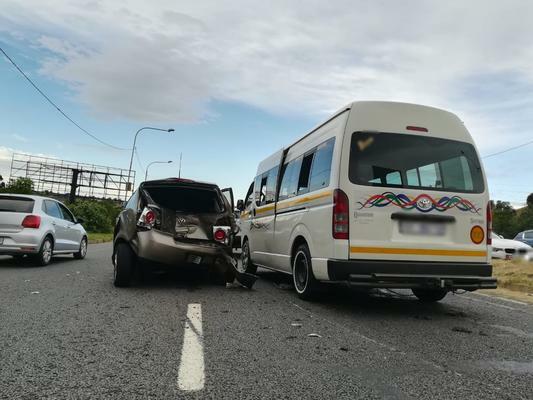 Netcare 911 spokesperson, Shawn Herbst said: “Reports from the scene indicate that a light motor vehicle and a mini-bus taxi were involved in a collision.